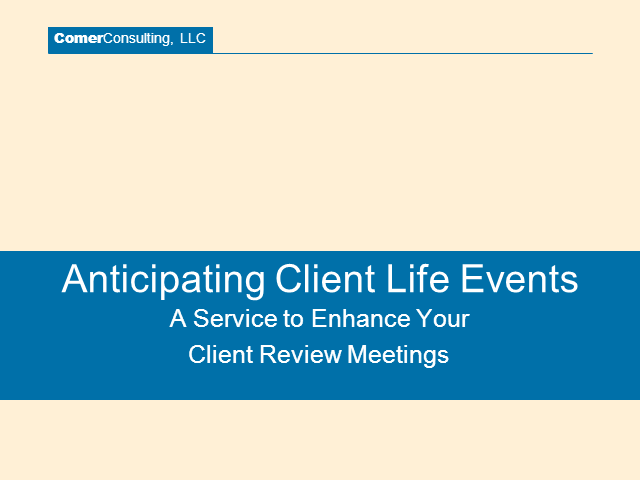 Advisors will learn how to enhance their client review meetings by focusing on client life events. We will list several life events that could be developed like: singles get married, young married get children, children finish college, clients start a business/loose a job, parents become empty nesters, grandparents need help and clients retire. We will then review two or three specific life events in more detail. Handouts will include sample agendas for three or four life events.